In 2015 my post “5 Things you need to know about PSD2” was pretty popular and was widely shared. 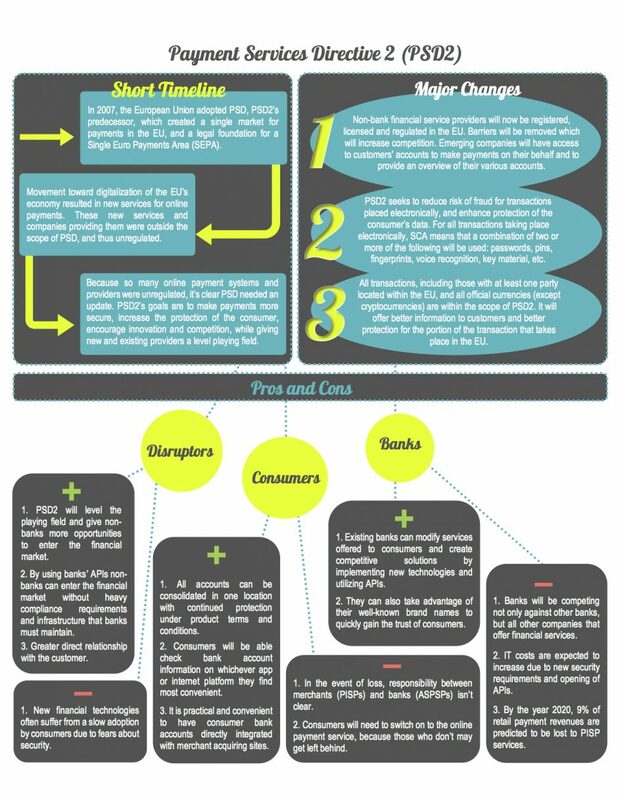 Since then i have written other PSD2 related posts from 2FA, infographics through to bank readiness to adopt and adhere to the European open banking regulation. 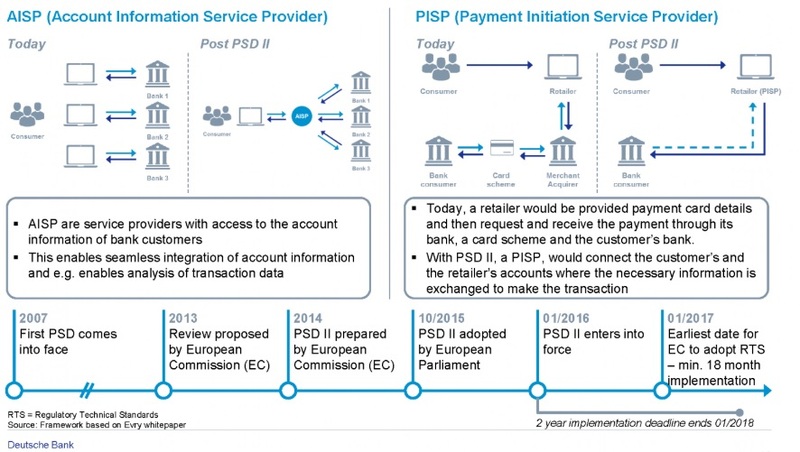 In this post, given that Open Banking was 1 year old in January 2019 i thought i would summarise some of the best PSD2 graphics since they nicely and simply capture what we need to know. 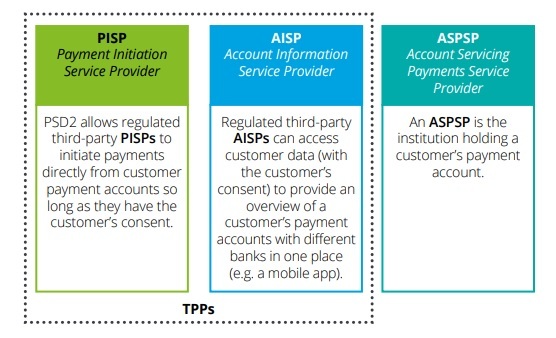 Whats the Difference between a TPP, PISP, AISP, APSP ? 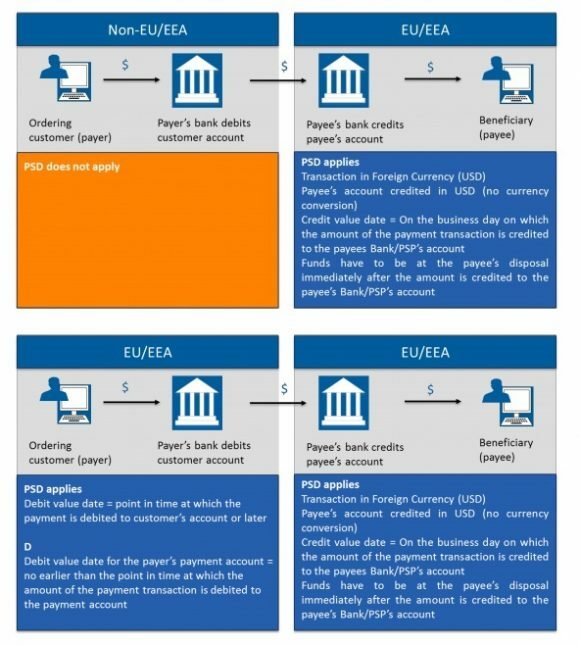 Who does what in PSD2? 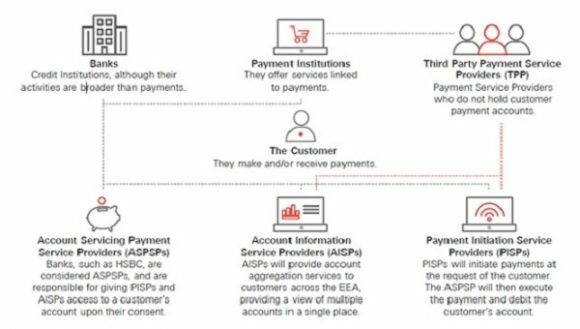 Gabor Gazso does a great job of simply outlining Who’s who in PSD2. 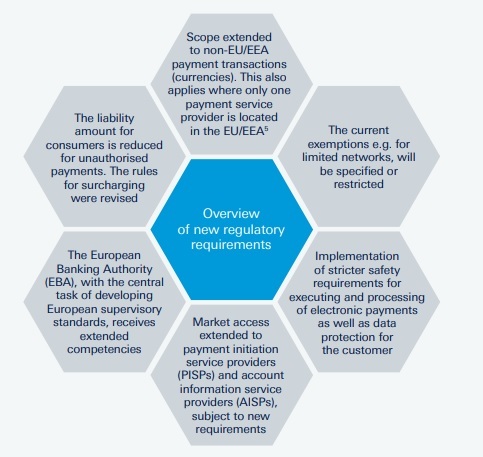 PSD2 to Implement RTS for SCA and CSC….. eh? The above is saying that PSD2 will implement Regulatory Technical Standards for Strong Customer Authentication and Common and Secure open standards of Communication. The implementation of the Regulatory Technical Standards (RTS) is happening in September 2019.